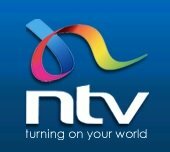 General TV Channel / NTV is a Kenyan general entertainment channel. The channel began operating on April 4, 2005, and is a revamp from the previous Nation TV station under the Nation Media Group arm that has been in existence since 1999. It is a popular TV Station in Kenya along with Kenya Television Network, Kenya Broadcasting Corporation among other Kenyan broadcasting channels.